While Facebook isn’t new today, most businesses need its presence. The biggest social media site have set its marketing concept way ahead than anyone could think of 10 years ago. While you’re aware that your target audience is active on Facebook on regular basis, how would you focus on those clients with your marketing tactics? For marketers, there is no option to ignore Facebook with such large user base. Started out as a social networking site for college students, Facebook has now more than 1.18 billion daily active users, 62% of whom log in on a daily basis. The above statistics from Hubspot shows the average number of users on Facebook and how many marketers think that Facebook marketing is effective. Fortunately, the Facebook Marketing platform enables you to zero in and indicate the sort of people you’re searching for. Your target can be based on location, demographics, and interests. How are Marketers using gathered data from Facebook? Whilst Facebook is all about building connections, it also offers us a valuable opportunity to gather data that can not only inform our content strategy but can also help us build a successful marketing strategy. Here are just a few of the ways that Facebook data can be a valuable asset in your marketing plan. 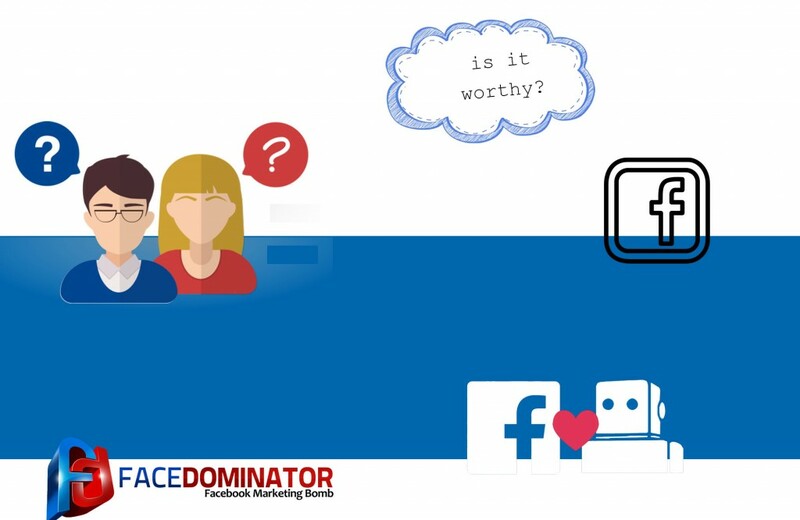 In this guide, you will learn how to make use of FaceDominator to your advantage for Facebook Marketing. This guide is also helpful for amateur marketers who want a relevant introduction to their marketing tactics to their business on the world’s largest social network. 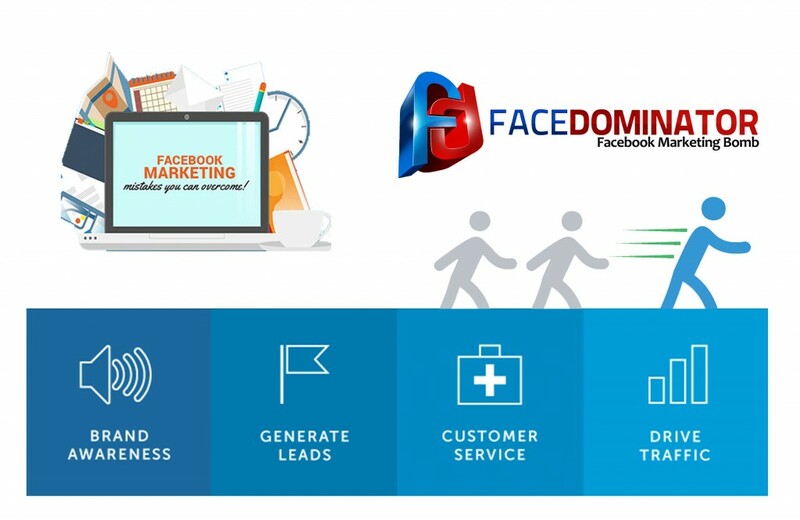 FaceDominator is an automation software for Facebook Marketing, who provides latest enhancements and newly added features in frequent intervals. This product is intended to perform all automation tasks that you do manually on Facebook. For example, Making comments, Like, Share, messages. Without any hassle, you can automate and schedule posts, create a campaign, target right audience for your business, Manage several Facebook accounts and much more. This Facebook marketing tool is Windows based and will be available for MAC users shortly. Why should you use FaceDominator? 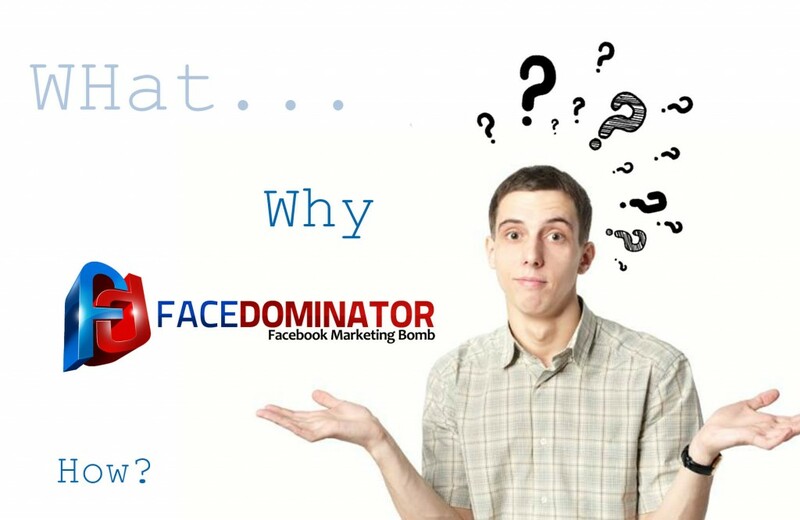 Many of you might think why FaceDominator is being promoted for Facebook marketing? Businesses spend money to hire people for marketing purpose and sometimes it’s just a waste of money for the organization because of the existence of automation tools in the market. Furthermore, businesses don’t bother to pay for who work and leverage their time on promoting their product manually. It helps you to farm your Facebook accounts. It helps you to keep your followers engaged with your Facebook accounts. It keeps you relevant to your niche. What are the features of FaceDominator? As an automation tool, FaceDominator regulates your activity on Facebook automatically, helps you to save time and you can easily utilize those hours towards more profitable work. While we have few unique features, Accounts Manager is the first module where you can upload Accounts. This feature is integrated with proxy support to maintain the safety and privacy of your accounts. An exceptionally unique feature offered by FaceDominator, With this you can easily manage your various facebook accounts for different activities. You don’t have to open your Facebook account frequently for activities like accepting friend requests, making comments on friends wall, likes, sending a friend request and sharing posts. FaceDominator will automatically do everything and help you grow your promotional activities to greater heights. The FaceDominator Messaging system prevents you from bans and avoids looking like a robotic activity. Using this feature you can easily send text and picture message to your targeted audience or your own friends from multiple accounts at once or in batches daily. Utilizing this module you can join a group which is similar to your business through your multiple accounts, according to your custom list or find them through related keywords. It also helps you to be an administrator of different groups and handle them automatically from one place. This feature from FaceDominator will make your business more lovable as you can automate creating multiple events from your multiple accounts at a time. You can create a public or private event. FaceDominator gives you the power to host your public events by pages. Through this module, you can easily manage all your Facebook campaign at one place. You can edit, resume and download the reports of a different campaign. It helps you to keep all records of your Facebook activity in one place. Save your money and time as FaceDominator automates everything that is required for Facebook marketing and help you increase your fan base quickly. No other tool can combine the marketing powers of Facebook into one single software. FaceDominator and Facebook Marketing goes hand in hand. The blog article provides you an insight to all the marketers about the unique software for Facebook Marketing for your business. You don’t have to think of other marketing tools. It is time to automate your Facebook Marketing through FaceDominator for a better experience.